Tennis is a game that can be played by the very young to the very old. From 6 to 106, age should not stop you having a go at this non-contact, relatively easy on the body sport. Currently ranked at number 2 in the world, Roger Federer recently turned 37, is the oldest player to hold number 1 ranking at 36 years. Serena Williams holds the womens record at 35 years. While not trying to emulate these record holders at Beaconsfield, we have players well into their 70s still playing competition. So why not give tennis a go at our club which offers the following opportunities. Of course on the other side of the coin we have 4-5 year olds participating in lessons. Led by our Head Coach Paul Rowbottom, a team of coaching staff provides all levels of tennis lessons and coaching. Currently coaching around 160 (130 junior and 40 senior) Paul is always willing to take on new clients at any time. Paul and his staff also provide lessons to the disabled under his All Abilities Program, School programs with local schools and holiday programs for beginner to elite junior level players. 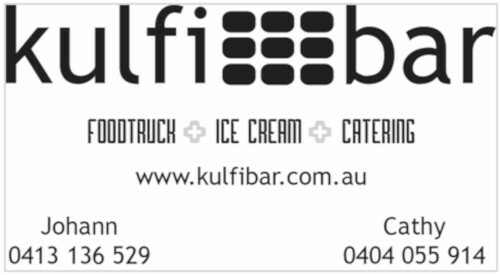 Give him a call on 0412 682 569 or come and meet Paul at our next open day normally held in late January each year. Paul also holds an “All Abilities Program” covering coaching classes for the disabled. In recognition of his services in this regard, he and his special group have been invited to participate in game play at Government House tennis courts during March. Beaconsfield tennis club held their annual open day on the 19th of January, smack bang in the middle of the Australian Open. It was great to see so many people come and try out the courts and coaching that was available. The summer (Berwick District) junior season is coming to a finale, with Beaconsfield’s 10 junior teams vying to make finals, with the majority on track to do so. Winter season will kick off straight after Easter, with competition played on a Sunday morning for beginners and Saturday morning for more advanced players. For any kids that are interested in playing competition for the club and/or receiving professional coaching please contact Paul Rowbottom on 0412 682 569. At a senior level our club participates in Waverley and District Tennis Association in Saturday afternoon competition, currently fielding 4 teams. New players for our club are always welcome for this competition and also Pennant. Contact coordinator Dave van der Koogh on 0416 147 771. Club membership is a requirement. 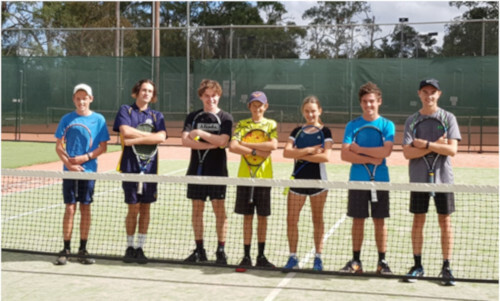 This competition competes in the Dandenong & District Tennis Association with play on Tuesday and Wednesday mornings involving two seasons each year commencing in February and July. Each team consists of four players playing three sets of doubles each (first to 8). We currently have seven teams competing in this competition. If you would like to join this competition, AND we do need more players, just give Kerry McKean a call on 0419 382 477. Club membership is a requirement. Two night competitions and a Sunday morning competition are open to members and non-members of all ages. Wednesday night is a mixed competition and in conjunction with Officer Tennis Club fields around 60 – 80 players depending on the season. All ages take part in this competition which is one mainly for fun and exercise. Our current summer season comprises 11 teams with finals being held over March. Winter season will commence in April after school holiday break. Given some time has elapsed in our club reporting, for the record our last summer competition premiers were “Gunsynds” team (Warren Pearson, Iain MacInnes, Jack Edmonds, Claudia Cox, Cooper MacInnes) and last winter competition premiers were “Diamond” team (Josh Thomas, Ashleigh Muir, Grant Muir, James Sibley, Wendy Dietrich). If wishing to join this friendly competition at any time contact coordinators Maurie Potter 0437 759 793 or Kate Watt 0414 354 877. Thursday night is similar to Wednesday night but a men only competition for both A and B grade players. This is a little less structured so players are welcome at any time. Just call at the courts starting 7:30pm or call coordinator Gavin Baxter on 0418 107 363. Veterans competition open to all ages of a senior nature has been running since 1981 and play early Sunday mornings. Call in at the courts early Sunday mornings for a game or contact our Les Donaldson on 0409 435 121. Schools often utilise our courts as part of their sporting curriculum and our club provides access free of charge as a community contribution. Recently Beaconsfield and Pakenham Primary Schools combined to participate.